A wonderland for all you audiophiles. 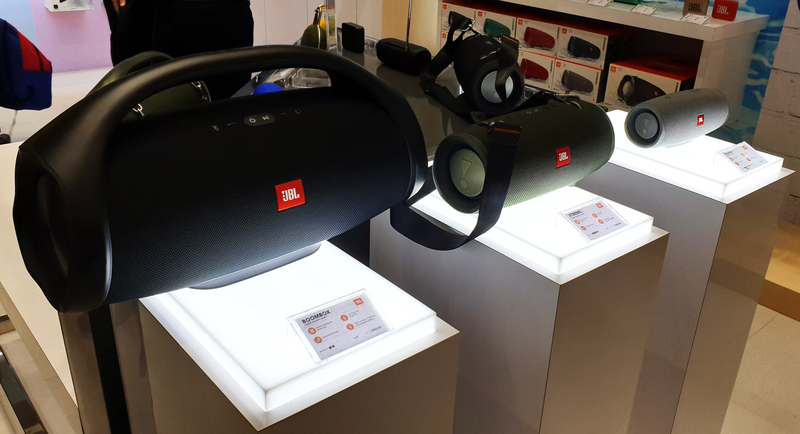 If you're in the market for a pair of headphones or an earth-shaking sound system for your home, there's one place that will make your dream come true. 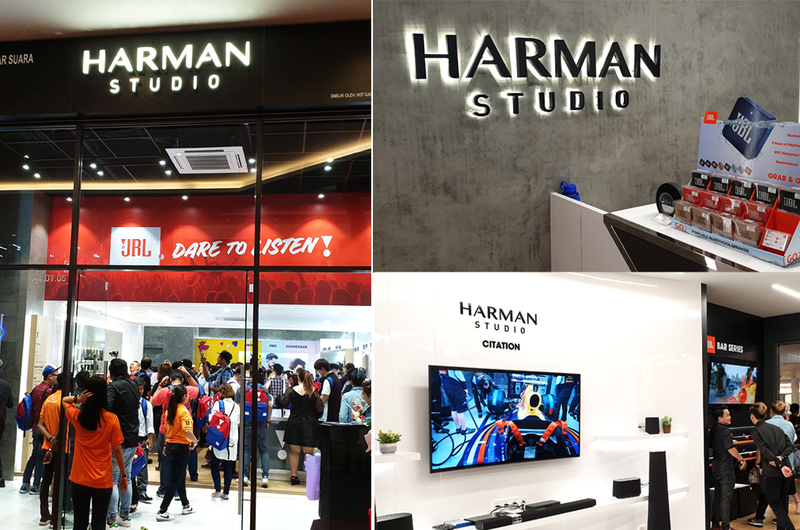 One of the world's leading audio brand, Harman, has just opened up its first - and largest! - studio in Malaysia. 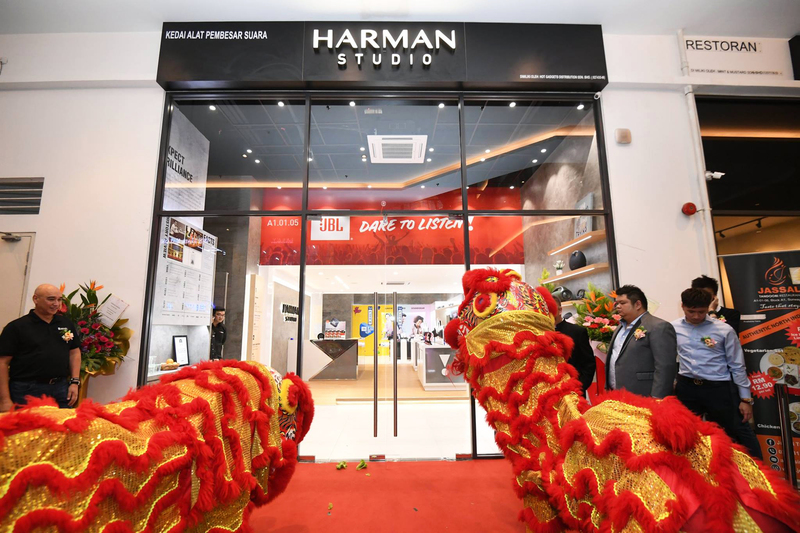 Located at Sunway Geo Avenue, the Harman Studio stands two-storey tall, boasting more than 3,000 square feet and filled with loads and loads of audio products. Sounds like a wonderland for all you audiophiles out there, kan? 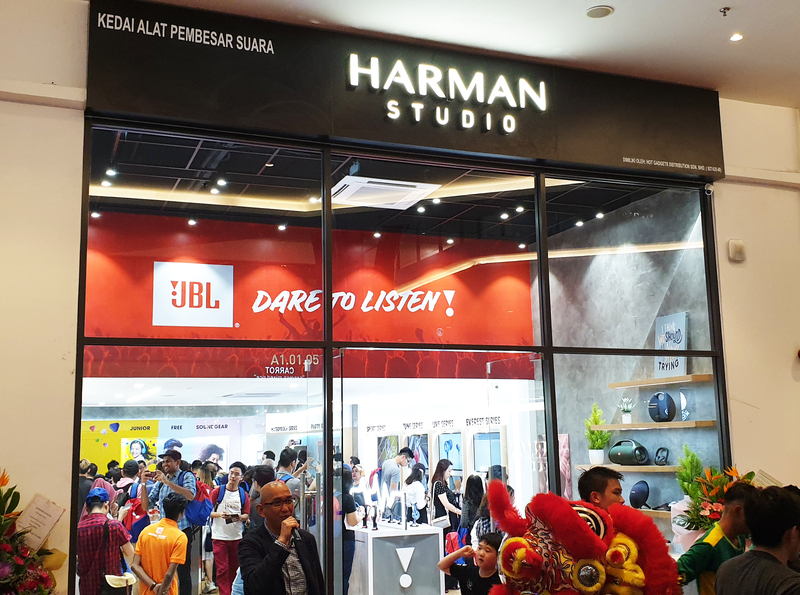 The standalone studio, only one of a few in APAC region, houses audio products from popular brands such as Harman Kardon, JBL, Lexicon, Revel and Mark Levinson. 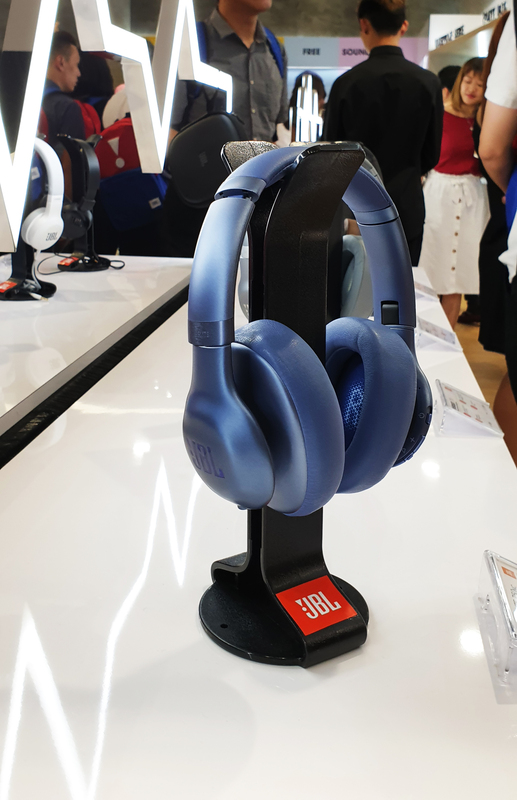 On the first floor of the studio, you'll find every day audio products such as earphones and headphones, as well as home entertainment units such as sound bars and speakers. What we find particularly impressive are the selection of boomboxes they have on offer. 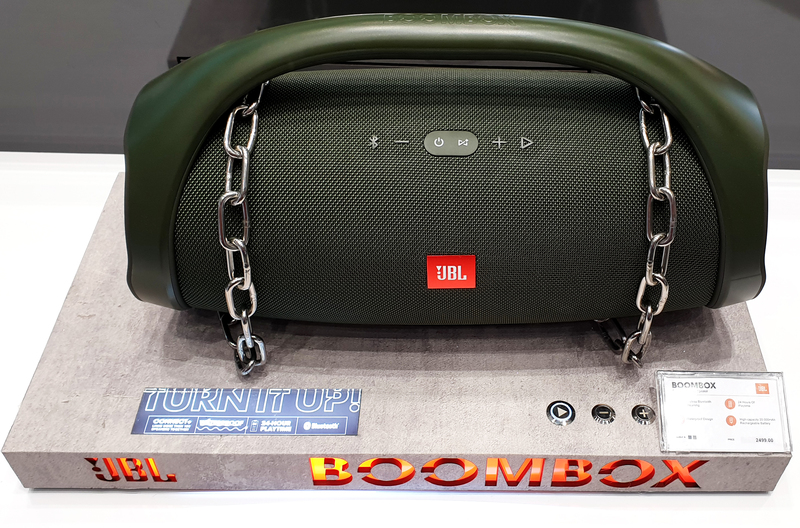 The boomboxes range from tiny, carry-me-in-your-pocket kind to big, window-shattering ones. Our favourite? 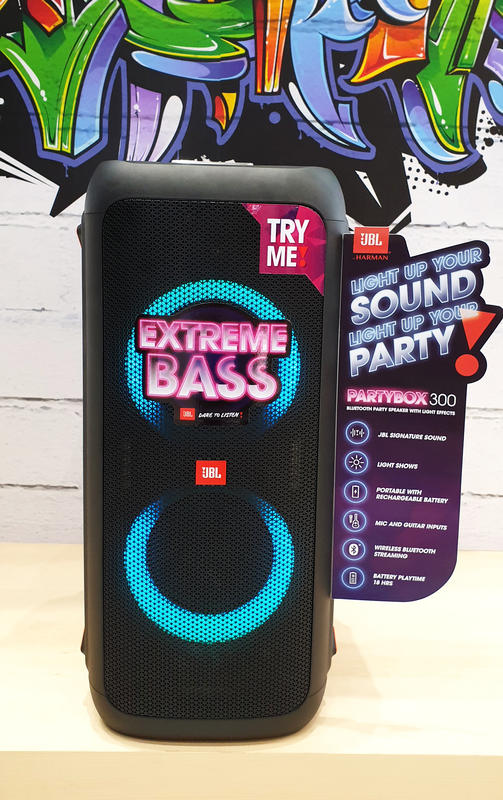 This massive JBL Partybox 300. 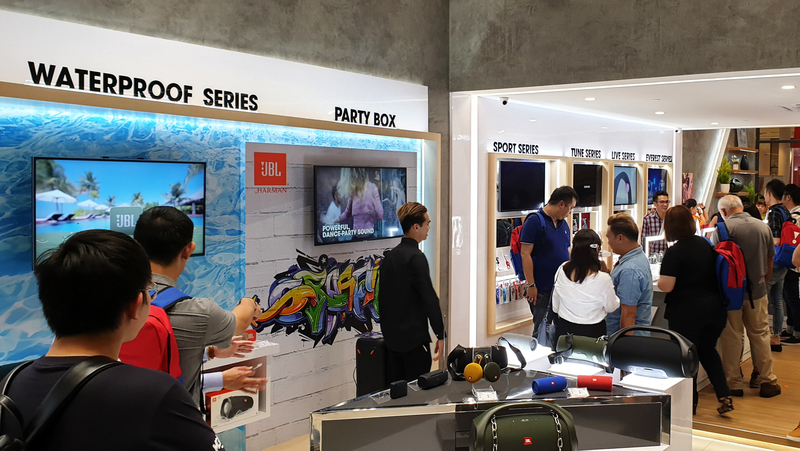 Retailing for RM1,999, this Partybox is the size of an air humidifier machine you can find at home. Trust us, if you have one of these at home, you'll be the most popular person ever - and your neighbours will hate you! The second floor is where the big boys go to play. 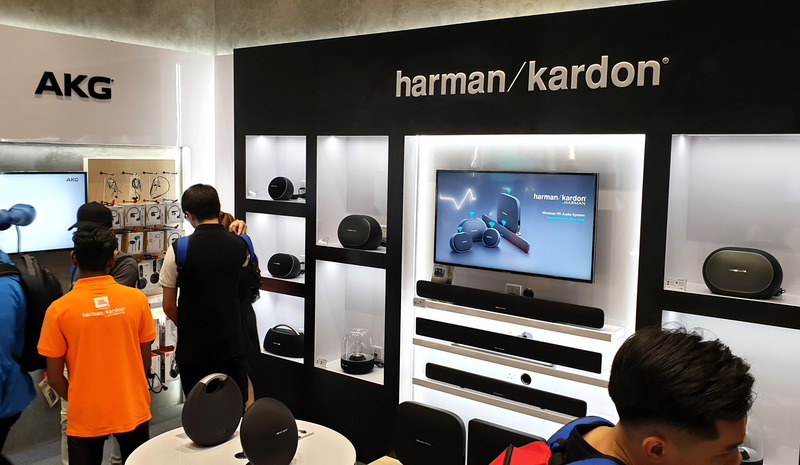 The entire floor has been turned into several exclusive Harman Kardon living rooms called Citation and Enchant, where customers could totally immerse themselves in Harman's full range of luxury audio products. 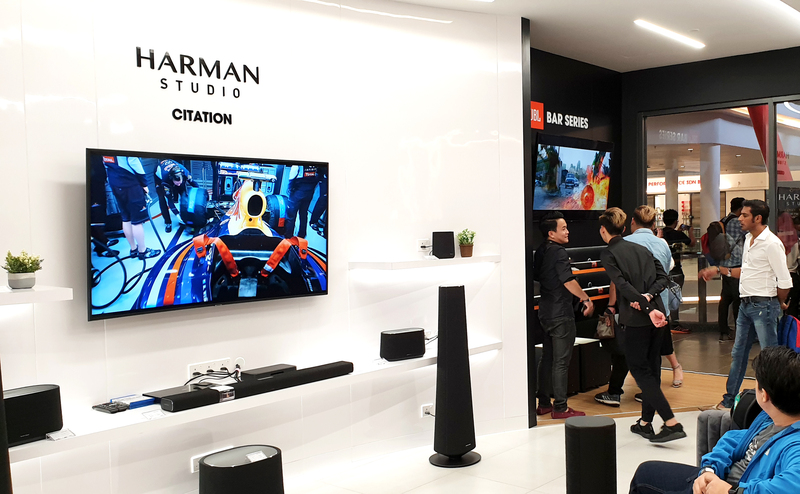 The Harman Studio also boasts a private luxury audio room where customers could test out high end speakers and home theatre systems. Perfect place to put "Bohemian Rhapsody" on full blast, for sure. 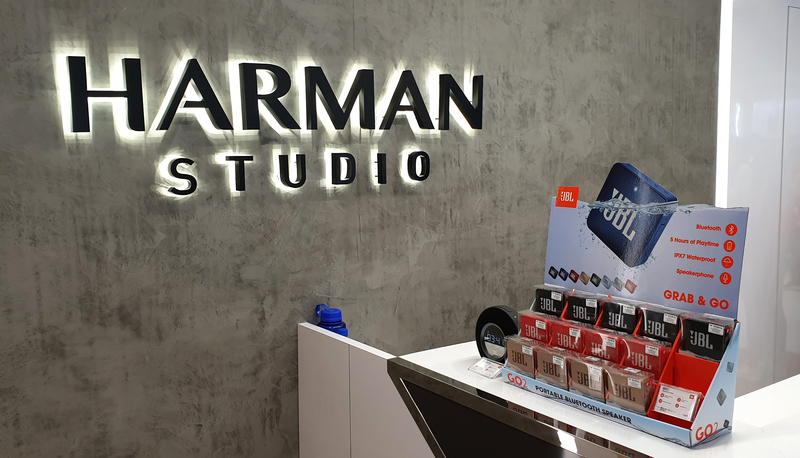 The Harman Studio opens from 10am to 8pm daily, so you know where to go if you want to buy yourself a pair of headphones. 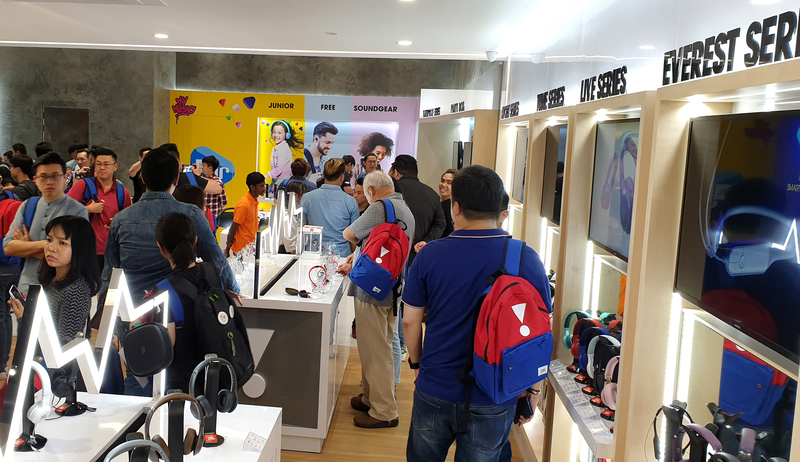 A 24-Month, One-To-One Product Replacement Warranty For Only RM1? We Show You How! Think You’re A Good Smartphone Photographer? Take Part In This Competition And Win USD20,000!